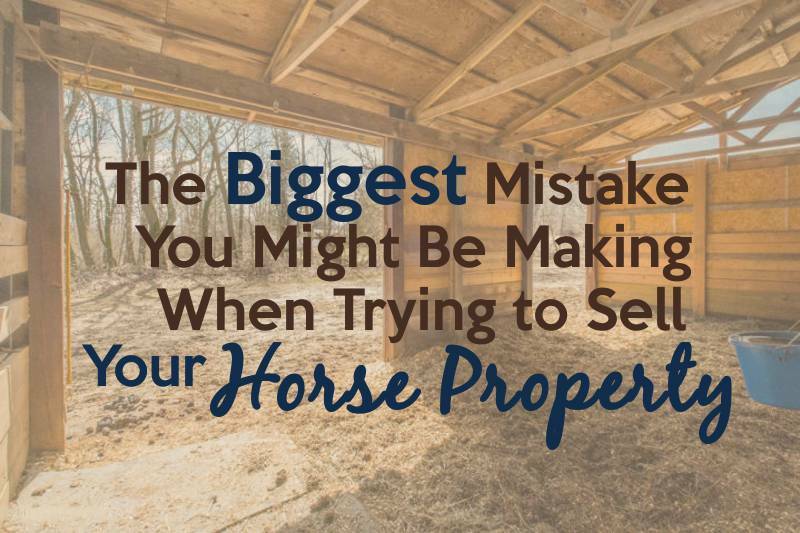 Are you frustrated because you’re trying to sell your horse property, but it doesn’t seem to be drawing interest from prospective buyers? Perhaps you’re more than frustrated. When a property’s been on the market for longer than expected, seller’s emotions can range from frustrated, to bewildered, to actually being depressed. How could it be? After all, in your opinion, yours is a beautiful property, in a good location, with a list of impressive improvements. Let’s go back to the time you decided to sell, and retrace your steps. First, the decision to sell may not have been an easy one. When you bought the property, the decision to sell may not have even been on your radar. Gosh, you may have even envisioned that the property would stay in your family for one or more generations after you. But the day came, and you made the difficult decision to sell, so you hired a local real estate broker, quite possibly someone you knew, or maybe the one you worked with when you bought the property. You went through the steps of preparing the property for sale, pricing it, and signing a listing agreement. You didn’t think it would take long to sell, but unexpectedly, weeks on the market turned to months, with little — maybe no — activity. How could that be? Suddenly, one of the issues you had to face was the length of time your property had been on the market. Your agent ran out of answers, said the ‘listing had gone stale’ and it seemed that every conversation was about reducing the price. Over time frustration set in, especially after you’d gone through the emotional process of letting the place go, and it got worse when it came time to pay the next property tax bill. Ugh. Why was there was so little interest in your property? This isn’t what you expected. What happened? Of course, there could be a number of reasons, because there are so many variables. Perhaps it’s a location issue, or maybe your property has unique characteristics that don’t appeal to most buyers. It could also be a pricing issue, especially if your property has been over improved. when hiring a real estate broker to represent their property for sale. In simple terms, their situation called for hiring a specialist, and they hired a generalist. 1. 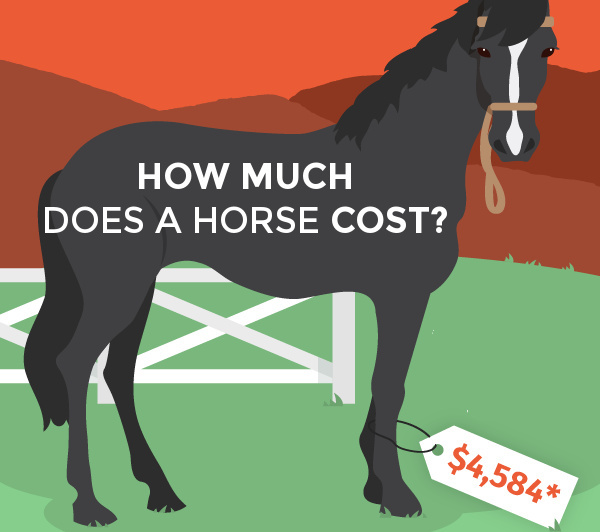 What’s the profile of the likely buyer of your horse property, and where is that buyer most likely going to come from? More times than not, these buyers are going to come from out-of-town, and not be local buyers. Sure, it’s possibly a local buyer, but most likely not. They’re probably buyers like you were when you bought the property, meaning they’re most likely looking for their own dream property, and they know more about what the property will look and feel like, than where it is. More times than not, sellers came from out-of-town themselves when they made their purchase. 2. How will your broker reach out-of-town buyers for your property? 3. How will prospective buyers find your horse property when they’re searching on line? In today’s world, it’s a given that buyers will be searching online. Over 90% of buyers search on the internet when they look for real estate. But unfortunately, the overwhelming majority of real estate websites (including Zillow, Trulia, Realtor.com and most national franchises) require buyers to begin their search by providing the city, town or zip code where they’re looking to buy. 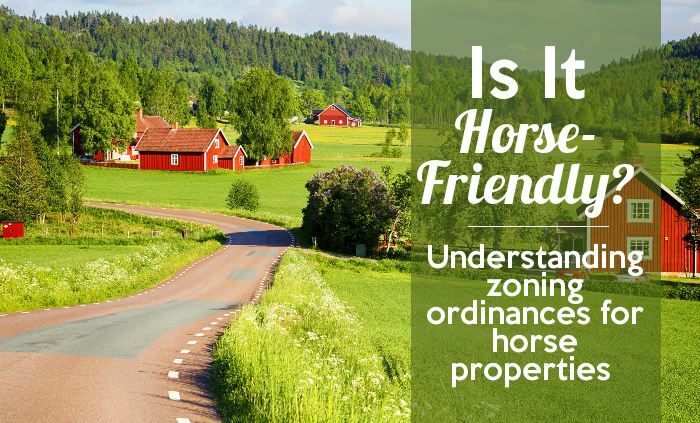 And the majority of buyers of horse farms, horse ranches, and other horse properties don’t know the city, town or zip code of where to search. Oops. That’s a problem. 4. So, how will your broker target horse property buyers? Given the answers to questions 2 and 3 above, this is the ‘$64,000 question’. If the majority of horse property buyers know what they’re looking for, but not where to find it, and if most websites require those buyers to start their search by entering the city, town or zip code of their search, then the real estate broker you hire better have a good answer to this question. Keep in mind too, that even if your broker ‘knows horses’, they’ll still need a powerful marketing program to reach the target market for your property. 5. How will your broker present your equestrian property to prospective buyers who find it online? There’s no question that you want to hire a real estate broker who ’gets it’, meaning that they know the target market for your property, and that the best way to reach that target market is with a strategy that makes it easy for prospective buyers to find your property when those buyers don’t know the city, town or zip code of where to search. But, you also want to know how your property will be presented to those buyers once they do find it online. Will they use a professional photographer? Will floor plans and a survey be presented? Will there be any aerial imagery? Will the property have it’s own website? Keep in mind that your prospective buyers may be traveling a distance to see your property firsthand, so you want to know that what they’ll see online will motivate them to make that trip. 6. What other types of marketing will your broker use to present your horse farm or ranch? Will the broker use brochures or flyers? When prospective buyers do visit your property, what will they take home with them to reference the property later on? And though the vast majority of buyers use the internet to search for real estate, will your broker use any other means of marketing, such as social media or catalogs? 7. Is your real estate broker affiliated with a larger company or organization that will attract buyers from a national or international network? We all know that our world is getting smaller, so you never know where your buyer is going to come from. Is your broker part of a larger organization that will tie into those possibilities? As referenced earlier, there are other important things to consider, such as pricing. Unfortunately, some sellers base the list price of their property on what it cost to build their home or make improvements to the property, or if there’s a mortgage, how much is owed on it. But, though those may be important considerations for the seller, they’re not relevant to what the market will bear for their property. The good news is that if sellers hire a real estate broker to sell their horse property, who has the best answers to the questions above, that broker will also likely have a good knowledge of comparable sales of other horse properties, as well as those that will be competing for the attention of buyers. Brokers who specialize in property types typically have knowledge of properties in a wider geographic area, allowing them to bring greater value to sellers. Ready to sell YOUR Michigan horse property? A great first step is to contact us and learn more about how we can help you. David Kreager is a native Michigander, originally from the metro Detroit area. 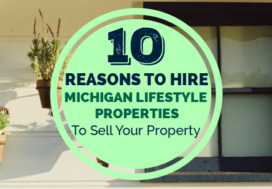 He started Michigan Lifestyle Properties, the only company of its kind that specializes in serving buyers and sellers of Michigan waterfront, recreational, equine and other lifestyle properties, in 2009. He specializes in country homes, luxury properties, Great Lakes & waterfront homes.